Karen Amy Michels left this earth January 31, 2019. She was born on December 6, 1943 in Libby, Montana to Robert and Amy Holiday. She joined her older brother Jerry at home. People in Libby always knew her as Sue. She met the love of her life, Allen Michels, at a bar in Libby. They were married December 4, 1964. Over the years they welcomed 3 boys to the family, Kelvin, Kraig and Kurt. Summers were filled with camping and fishing, Falls were busy getting wood for the winter and hunting and Winters consisted of downhill and cross country skiing. We were always active and most of our memories consisted of outdoor activities as a family. Both Karen and Allen were active in Jeep racing in several States and Canada. They were founding members of The Big Sky four-wheelers Jeep Club in 1970 and they were active members, keeping the club going, for several decades. In 1997, Allen passed away from cancer. Karen was actively involved with the Boy Scout community. Her three sons began as cub scouts and she travelled beside each one through his journey to the rank of Eagle Scout. Her commitment to scouting was such that in 1987 she received the highest honor Boy Scouts awards to adult volunteers, the Silver Beaver. In the mid-1990s she served as District Commissioner for the Northwest District, from April 1995 to February 2000 was an active parent with Troop 1933 and she assisted with the organization of Troop 1901 in March 2000 - serving as its Troop Committee Chairperson from its inception until March 2004. Rarely did Karen miss an opportunity to share her time and talents with all the scouts. During Kurt’s school years, she was a regular at summer camp with her motorhome and each morning found her following Kurt as he did his cross-country training. From the year 1998, when Northwest Montana Running Camp was created, and every summer since she would volunteer by helping in the kitchen with every meal prep and serving the runners. If anyone had any type of medical need, she took care of it - we called her our resident ER personnel, especially since she had her EMT training. She would always bring homemade treats into the kitchen and when she missed one year, the coaches all asked about her because they missed her and her treats! During and at the end of camp she would always save bags, ice cream buckets and take leftover things to the daycare where she worked. Karen worked at Smith Memorial Day Care for 23 years before retiring in June 2013. She then subbed for the day care, as recently as this year's Christmas program. Karen started in 1990 working with the two year old's and then in 1993 she started teaching the five year old's. Karen put together an excellent preschool program that got the children ready emotionally, academically, and socially for kindergarten, which was recognized by all the local teachers. This program is still being utilized today at the daycare. She loved the children and they loved her. We will miss her stories, crafts, songs, great sense of humor, and words of wisdom. Karen was a well-respected and a loved member of Flathead County Search and Rescue. Her tenure dates before women were accepted as responding SAR members at the "Flathead Lifesaving and Rescue Association, (which became Flathead County Search and Rescue in 1975). The Flathead Search and Rescue Auxiliary was founded on November 13, 1972, and Karen was elected as its first president. After providing years of support to FCSAR, Karen officially became an agency member in 1991, and her contribution continued to increase with time. She became an Emergency Medical Technician in 1995 and provided countless hours of medical response coverage at numerous events, including the Northwest Montana Fair, the Family Forestry Expo, and the Herron Park Half Marathon, to name a few. Karen, along with her husband Allen, were named Honorary Members of FCSAR, the equivalent of lifetime membership, in 1997. 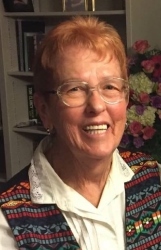 Karen continued to serve as an active member of FCSAR up until her passing. In recent years, she served on the committee to interview agency applicants, and she was currently working on an agency project to recognize and celebrate the service of past members. She was a treasured agency member, and her presence at meetings, training, and events will be sorely missed. The manager at the Habitat for Humanity ReStore, where Karen volunteered, had this to say about her; “It is easy to give in to unnecessary hyperbole when speaking about someone who has passed... but when I say that Karen Michels was the sweetest, kindest, most joyous, and one of the most beautiful women I have ever had the blessing of having in my life, I want you to know that I say it blinded by tears. Karen put all of her warmth and compassion into her volunteer work here with Habitat and made all of our lives brighter. With her laugh, her smile, and the gleam in her eyes, she made every day working with her a gift. We will always carry with us the unique and irreplaceable love she showed, and it will forever be a part of this organization.” During her time with Habitat she earned the Golden Hammer award for outstanding volunteer work. Karen was a member of the First Presbyterian Church. Her church activities included participating in a home Bible study group, the Colter Coffee early morning Bible study, A Matter of Balance, and Serious JuJu Skateboard ministry. The JuJu skateboarders affectionately called her the “deviled egg lady” as she regularly made and delivered them for the skates and studies. Being a community-minded person, Karen was involved in working the election polls for many years. Her work at the polls ended when she agreed to join the Absentee Ballot Board. She spent hours working with team members packaging absentee ballots for mailing and at election time, processing the ballots for counting. An election will not be the same without her smiles and paper cuts. At 72 years old mom bought a Ranger and continued to play off-road until she passed away. She was preceded in death by her parents, husband and daughter-in-law Dodi. She is survived by her brother Jerry, sons Kelvin, Kraig and Kurt, daughter-in-law Ashlee and five grandchildren Ellie, Adeline, Andrew, Eva and Annalise. She impacted a lot of lives in a positive way. A Memorial Service will be held on Saturday February 9, 2019 at 1:00 PM at The First Presbyterian Church in Kalispell, with a reception following. In lieu of flowers, please make donations to the First Presbyterian Church’s Serious JuJu Skateboard Ministry.